ComputerAndVideoGames.com has published an interview of John Carmack about Quake Live. Quake Live is the online version of Quake 3 Arena and allows to quickly set up and play Quake 3 without the pain of downloading Q3A and the latest patches, connecting to servers and find other gamers. 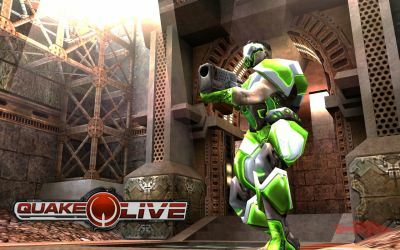 Q: So is Quake Live the next step for PC gaming? A: I don’t think this is the future of PC gaming, though it’s certainly an aspect of it. PC developers need to start considering the PC as a unique platform rather than a gaming machine that happens to be in your den rather than your living room. The traditional big-budget, media-rich, single-player type games like we used to make at id Software through to Doom 3, all that really has to be done cross-platform on the consoles now, to basically cover the development expenses for something like that. But the PC still has huge success stories, with things like The Sims 2 and World of Warcraft, which have been bigger successes than any console game has ever been, or possibly ever could be in the near future. At the end of the day, you have to look at the PC as a platform with its own strengths and weaknesses.